Has anyone seen this? Amazing! 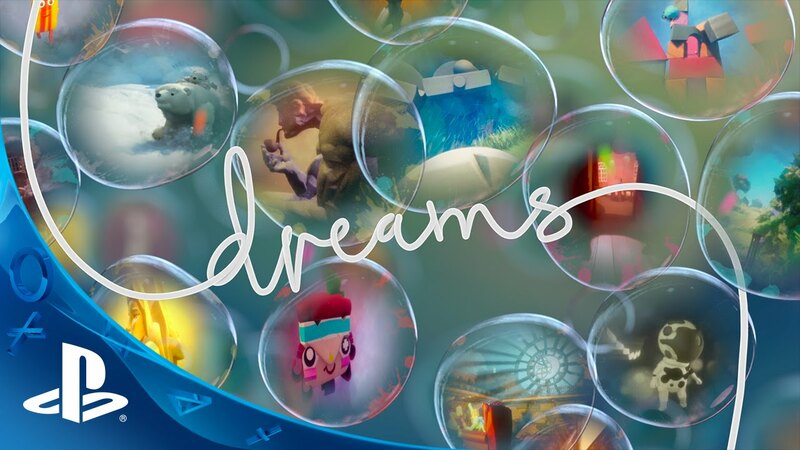 I may get a PS4 just for that Dreams game. As a 3d artist, the engine they are building is just crazy! I quit computer science study back in the early 80's so most everything he discussed was jibberish to me. Just the same I found it absolutely fascinating. Thanks for sharing. It's stuff like this that shows how incredibly difficult it can be to make a game, especially one that is essentially a completely new invention. It makes those ultimate consumers who come about with caveman-like summaries of games with "lazy devs" or "game suxxors" look like the real idiots. The painting style engine was gorgeous. They need to made that a reality! This content will act as both a standalone adventure and a tutorial for creation. This blurring of the lines between gameplay, creation, and sharing is key in Dreams. There will be a beta. Dreams' beta testers will be able to remix and modify Media Molecule's levels. They'll be able to experiment and create their own games using pre-existing assets or create entirely new ones. Right now, only around 30 people are making in-game dreams. Getting thousands of people beta testing and making things is going to be huge for the team. You can make amazing first-person shooter levels if that's what you want to do. 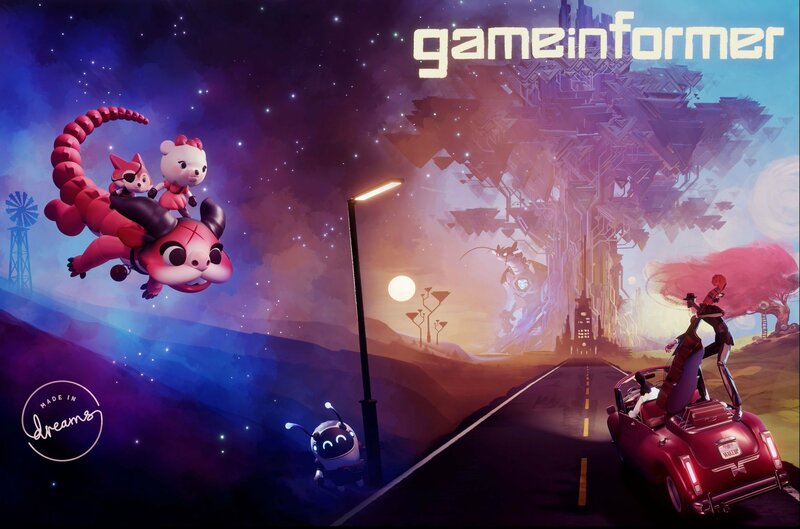 The team is dreaming of the "new game genres" that could be created within Dreams. Dreams offers "a full-on game-development system" in which Media Molecule staffers have already built their own takes on titles like MotorStorm and Tetris. You'll even be able to add your own cut scenes, animating characters using the controller and recording the results. Sounds really interesting. At first I thought it was a game only for people who wanted to build their own dreams/games, which is not me. Now I understand that it will have a pre-made "campaign" that includes a variety of scenarios, and also that, by the time it releases, beta players will have generated hundreds if not thousands of "dreams" for other players to play with. I hope they market this well. It could be tricky. I'm a fairly tuned-in gamer, and it took me a while before I understood what this game consisted of. I'm still a bit fuzzy, but it has caught my eye now. It seems really creative, and who knows, I might have fun "playing" in a way that games rarely offer (i.e., creating your own playground, rather than just playing pre-made content). Even if I don't get into the creation aspect, I like the idea of having thousands of games/dreams designed by other players to mess around with. It sure is unique. That Anton dude is freaking brilliant. What is most amazing to me is that they found a new(ish) way to render. The tech was out there in theories and bits and pieces, and indeed, point cloud rendering has been around for a while, but no one has really used it. Just that they can increase the Jitter to make a nigh-on flawless Depth of field is awesome. The shadowing and volumetrics are also top notch. It looks unlike anything I've seen, and it's real-time! being stylized you can get away with a lot more. I can't wait to see how they handle rigging for animation. Imagine if they are incorporating the PS move controllers! This is the coolest thing I've seen in a decade. Looks really cool. Sony keeps the fresh ideas coming. Dreams should deliver. First thing is, I read that they have a 10-year plan for Dreams. That's a long time. So it'll be with us through PS5. "Anyone can make a really cool VR experience in Dreams. As soon as it's out, you'll be able to make a VR experience and push the medium forward." That could bring another level of appeal to the game. And to VR. "PlayStation VR will now be supported from day one rather than in an update like previously announced." The E3 previews/impressions on this are way more positive than I expected. Sony has something here. Definitely looking forward to hearing more at E3. Seems like a really promising game. I've never been into the "build your own game" kind of thing, that's what these devs are paid to do damn it! lol But this sounds cool for those that are into it. Looks like we're about to get a lot of Dreams information this month. Here's next months GI cover. MM also confirmed a beta was still on it's way for 2018. 2019 release is almost a lock at this point. Short little time lapse video showing the creation of a level. Where's the Dreams hype people?! This has quickly become one of the few games I'm genuinely looking forward to. Edit: Just watched it. Fun interview. Beta this year. Tutorial is going to be loooooong. Everything created in the Beta will carry over. Online multiplayer after launch. 4 players for sure. 8 players maybe. You can make a Battle Royale game. Some games will run at 60fps. Other at 30fps. Depends on how packed the game is. PSPro will run games smoother. I'm sold. Day mother ****in one. For real. I usually do less creating and more playing what the community makes. Media Molecule likened it to YouTube. You don't have to make videos to appreciate YouTube. Here's a video of some FPS gameplay. Just fast forward to the last 90 seconds or so. I'm starting to think that this could actually threaten Fortnite as game of the generation. It looks so unbelievably powerful. They say they'll be releasing the beta before the end of the year. I hadn't heard that before. Anybody else feel as if this game is really meant for a next gen release? I know they intend for it to be out in 2019. Hopefully it won't slip to 2020. Here's a quote from the wiki that talks about the game's development path. You can see that 3 years have already passed since the official announcement, and the beta has been delayed 2 years. It would be disappointing if the game wasn't out in 2019. It's been long enough already. "Dreams was revealed at PlayStation Meeting 2013, with Evans showing a technical demo onstage, involving three people creating an in-game band. A teaser for the game was released in July 2014. The game was officially announced at Sony Computer Entertainment's press conference at the 2015 Electronic Entertainment Expo. A beta for the game was originally set to be released in 2016, however was delayed to 2017 with a silent delay to 2018. The full game was also silently delayed from 2018 , to 2019." So impressed by this game. I'll be there on the 8th.